Paying down debt can be difficult—especially when you don’t make enough money or when you are living paycheck-to-paycheck. There are millions of people who have trouble emerging from what seems to be a mountain of debt they have created. However, there is hope. Here are 10 solutions for finally getting your debts paid so you can have the financial freedom you’ve long desired. Get a second job – Look for a second job after work or on the weekends. You might be thinking you don’t want to push yourself or that you just don’t have the time. You might make excuses for yourself. But there are no such things as excuses—just bad decisions. Don’t let this be one of them. You might not be able to have as much alone time or do all the things that you want to do (but can’t really afford). You might have to sacrifice a lot— that includes sleep. Sometimes we must push ourselves to do things we don’t want to do to better ourselves. Once you get your finances in order you can quit your second job. Or, if you really like what you do, stay and make extra money to save or invest towards retirement. Or maybe take that dream vacation you’ve always wanted. Here is a great camera bundle to start you off on your journey to taking photographs and videography. 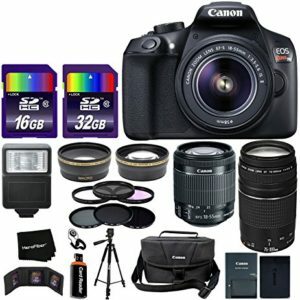 This is the Canon EOS Rebel T6 DSLR Camera Bundle Kit. It comes with 2 SD cards, changeable lens, a carrying case, tripod and so much more. We have the link below if you want to see reviews on this particular camera. Here is a great lighting kit by Limbo Studios. We have used this particular photo lighting set for the past 3 years when shooting videography. 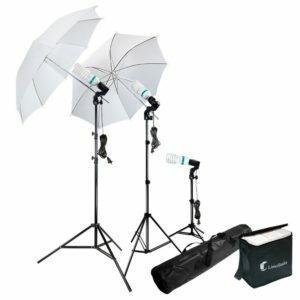 We highly recommend that you check this lighting equipment out and it is a steal at $52. Sell online goods – Selling goods online is not limited to what you can make, it can also be reselling items. First, do you have a garage, basement or attic full of “junk” that you want to get rid of? Then why not sell it online? There are people that want to buy new and used goods. You might think the board game that you still have from childhood means nothing, but to someone that board game could bring back a childhood memory they will be willing to pay for. There are so many sites where you can sell items like Ebay and Amazon. It’s worth looking into. Trust me I’ve done it. Ask for a raise – If you know you are valuable to your company then you should ask for a raise. Know your worth when you have that one-on-one meeting with your boss and share with them everything you do for the company. It doesn’t hurt to ask. You have a 50-50 chance that your boss might go ahead and give you a raise. Look for a better paying job – If you have been with a company for a long time and like it, but it just does not pay enough then it is time to look for another job. It can be difficult putting yourself back in the marketplace, but you have to look at it as a survival stategy. Look at it realistically. You just don’t make enough. It’s time to move on! Get that resume updated and sent out. Go to networking events and meet people. You might find a much better job or a job with better hours or benefits . Lyft and Uber Everywhere – Hopefully, you are not living under a rock and have never heard of Lyft and Uber. Both companies will pay you to transport people to their desired destinations, like a taxi, only you will be using your own vehicle. You can make hundreds of dollars a month just driving people around. Take a survey – There are companies willing to pay for you to take surveys and make a little cash. You won’t make a ton of money, but over time it does add up. Most of these companies work with third parties wanting to know what consumers think about their products and/or services. There are colleges and universities that do research studies. There are also companies that will send you products to sample for free and all you have to do in return is to give your feedback. The ones I have tried and recommend are Swagbucks, BzzAgent, Amazon Mechanical Turk and Opinion Outpost. Take a photograph – If you love to take photos why not sell them? There are companies willing to purchase high-quality stock photos to use for marketing material, websites and to sell to bloggers. There is money in capturing the moment. Check out companies like Adobe Stock, Shutter Stock, and Fotolia to see how much they are willing to pay for you to sell your images to them. 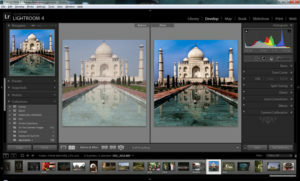 Don’t forget to clean up your photos and make them look sellable by using the right software. Here are a couple that we recommend. 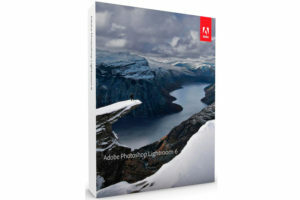 The Adobe Lightroom Studio 6 is a great piece of software to make your photographs come alive. This software works on both a PC and a Mac computer. 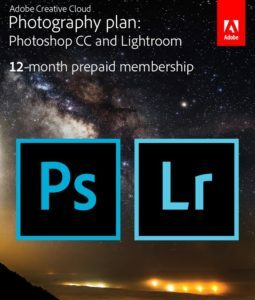 If you would rather download the software straight to your computer Adobe has the Creative Cloud with Photoshop CC and Lightroom. There is a 12-month prepaid membership plan and it comes with 20GB of storage. Tutor – Do you speak a second language? Do you love math or science? Can you play an instrument? You could become a tutor. Create print ads or post online that you are available for tutoring your craft or skill. You can tutor on campus, at home or at a local library and make extra cash on the side to put towards paying down your debt. Plus, you will have helped someone learn a skill. Rosetta Stone 24 Languages is a great software to get you start on your lesson plan if you decide to go into tutoring a language. This software is downloadable and it is yours to keep forever. A 24-month subscription cost $169. Available languages: Arabic, Chinese (Mandarin), Dutch, English (American), English (British), Filipino (Tagalog), French, German, Greek, Hebrew, Hindi, Irish, Italian, Japanese, Korean, Persian (Farsi), Polish. Portuguese (Brazil), Russian, Spanish (Latin America), Spanish (Spain), Swedish, Turkish, Vietnamese. Teach online courses – If you have an area of expertise— teach it. There are sites like Udemy.com where you can upload courses you create and sell them to a worldwide audience. I suggest you make courses that are creative and stands out. It needs to be interesting enough to sell and it needs a good promotional video. A boring PowerPoint just won’t do. 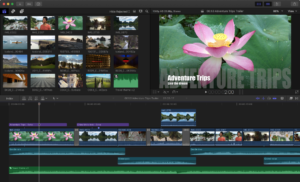 Here are some suggestions for video editing software that we use to make videos. Both are extremely popular and do a great job with editing your video. If you are new to editing video that are hundreds of videos that you can watch online. 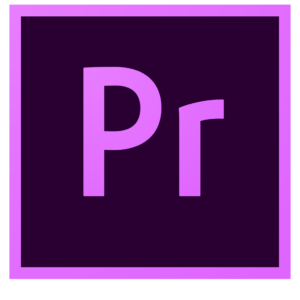 Here is the Adobe Premiere Pro CC | 1 Year Subscription (Download) editing software. It works on Windows and Mac. 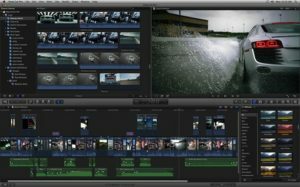 It is powerful, customizable, and high-performance nonlinear editing software. 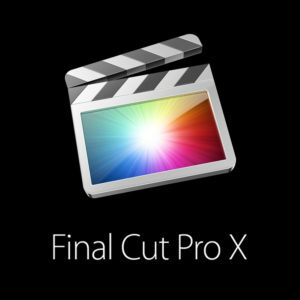 Here is another suggestion for video editing, Final Cut Pro X. It is only for Mac users and must be downloaded. There are many other ways of making money on the side to pay down debt, but hopefully, these suggestions can get you started. Don’t let financial difficulties stress you out! Look at your finances and see where you can make some changes or cut some areas out of your life to save some money. Do you really need that latte every morning or could you save that money by making your own cup of coffee at home? In order to have financial freedom, you are going to have to cut some things out of your life. But you also might find that you have found a creative outlet that will help you get back on track. 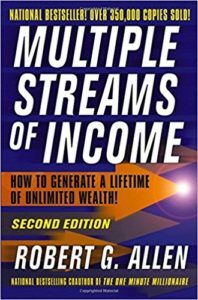 Here is a great book that has been around for years by Robert G. Allen called Multiple Streams of Income. It gives you many suggestions on how to make passive income and multiple streams of income. Check it out!